Two Israeli soldiers were wounded in a predawn car-ramming attack in the northern West Bank on Monday, one of them seriously, the army said. The force opened fire on the three occupants of the vehicle, killing two and wounding the third. 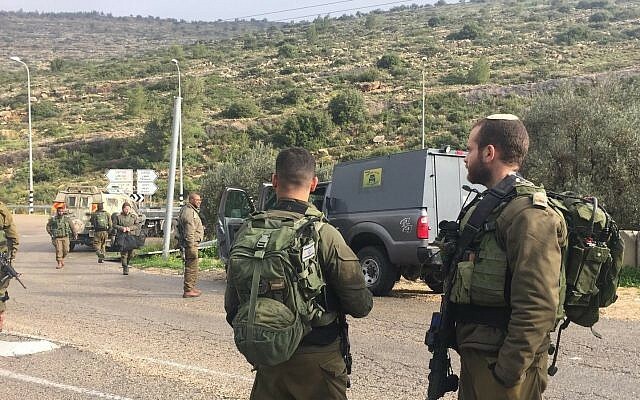 “Terrorists rammed their vehicle into a number of soldiers who had stopped by the side of the road at the entrance to the village,” the Israel Defense Forces said. The soldiers had earlier conducted arrest raids in Nima. Their vehicle broke down as they exited the village. The ramming occurred as the soldiers were standing outside the truck. An IDF officer was seriously injured and a border guard was lightly wounded in the attack, the military said. “The troops opened fire on the terrorists. 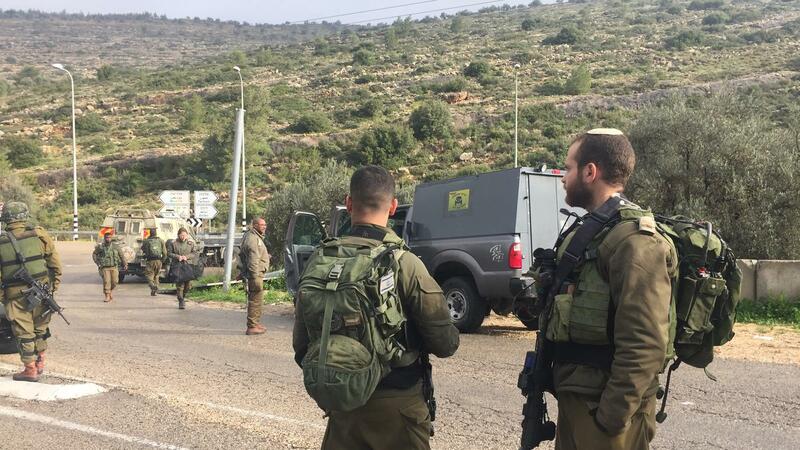 Two of them were neutralized and the third terrorist was lightly injured,” the IDF said, adding that reinforcements were sent to the area. Yousef Inqawi, 20, from Beit Sira. The name of the third, injured assailant was not immediately released. The Israeli military said the three young Palestinian men had earlier thrown firebombs at a nearby highway. “In the car in which the terrorists carried out the attack, additional Molotov cocktails were found,” the army said. Protests and low-level rioting broke out in the area following the car-ramming. A helicopter and ambulances were sent to the scene to evacuate the soldiers who were hurt. The two injured servicemen, both approximately 20 years old, were taken to Sheba Medical Center at Tel Hashomer in Ramat Gan, outside Tel Aviv, for treatment. The seriously wounded officer sustained injuries throughout his body, medics said. The lightly hurt border guard was released from the hospital later in the morning after being examined by doctors, medical officials said. “The message of the young rebels in the West Bank is that they will not rest until the occupation is expelled and their holy places are liberated, and that the plans to Judaize Jerusalem will not stand,” Hamas said in a statement. 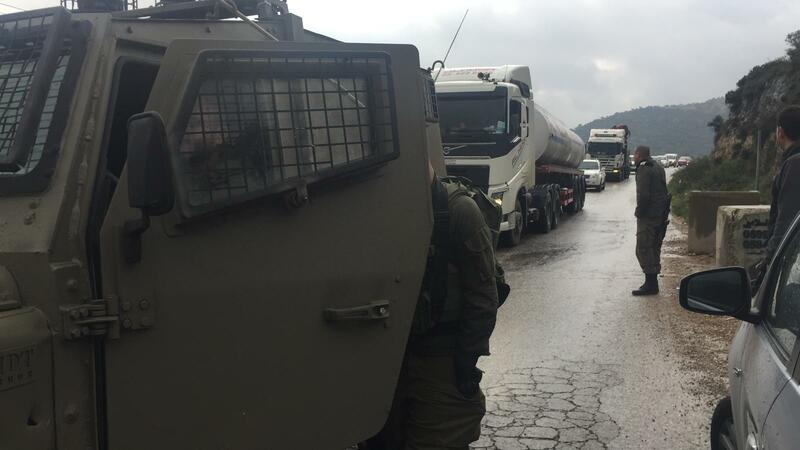 Also in the central West Bank on Monday morning, Israeli troops arrested 16 Palestinian people in predawn raids, 11 of them suspected of being Hamas members. “Tonight IDF troops conducted an operation in the Binyamin Regional Brigade as part of the campaign against the Hamas terror group. As part of the operation, IDF and Border Police troops arrested 11 Hamas members,” the army said. Israeli defense officials have warned that the coming months may see an escalation in violence in the already restive West Bank and Gaza Strip, in light of added pressure from the upcoming Israeli elections, US President Donald Trump’s plans to announce his proposal for an Israeli-Palestinian peace agreement, and ongoing struggles between the Palestinian Authority and Hamas.